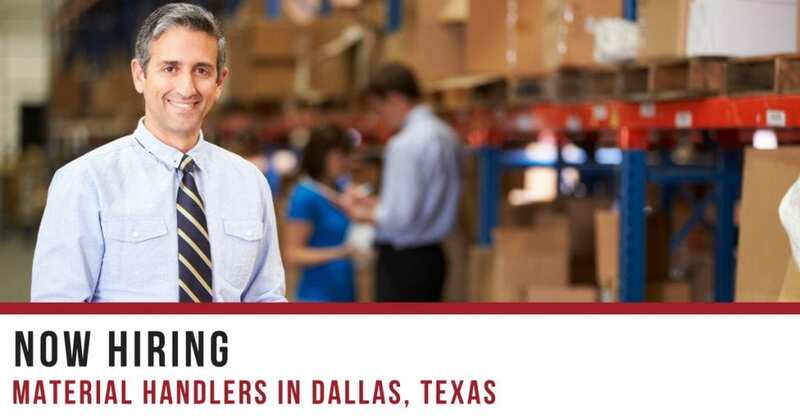 STS Technical Services is hiring Material Handlers in Dallas, Texas. In this position, you will be responsible for the handling, cycle counting, and kitting of various components and materials. Our client is a leading manufacturer and suppliers of sophisticated electronic products supporting both defense and commercial applications. This is a CONTRACT position that is available immediately. STS Technical Services is the leading provider of technical, professional, and industrial workforce solutions for the commercial, industrial, and defense markets. From mining to manufacturing, defense to transportation, engineering to maintenance, our services encompass the total life-cycle of a product; strategically designed to keep our clients engineering, manufacturing, operating and maintaining. For nearly 40 years we have provided contract and direct positions with the finest companies in America, with opportunities in your local region, nationwide, and around the world. STS Technical Services is an equal opportunity employer. If you have questions, please contact an STS Recruiter at 1-800-359-4787. Otherwise, all interested applicants are encouraged to apply directly on this page. Thanks, and best of luck!